Are dates healthy or are they just another form of sugar? These 5 health benefits show how dates can be a well-rounded food to help you stay healthy. Are dates healthy or are they just another form of sugar? Dates are often used as alternative sweeteners because of their natural sweetness, but are dates healthy or are they just another form of sugar? 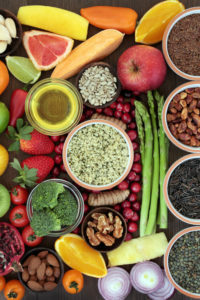 It turns out that these sweet foods contain more than just carbohydrates and sugars: they are packed full of vitamins, minerals, antioxidants, and other health-promoting nutrients that can help you stay healthy. Learn about the many reasons you might want to eat dates below. Dates have antibacterial, antifungal, antioxidant, and immunomodulatory effects in the body, which make them helpful in controlling a variety of health problems. Dates are good for your heart. Eating dates can help to control risk factors for heart disease like triglyceride, cholesterol, and blood pressure levels. [1-3] In one study, 100 g of dates per day for four weeks decreased triglyceride levels by between 8% and 15%. They can also help control blood pressure. They have a favorable ratio of sodium to potassium, and they impact other compounds involved in blood pressure regulation. [1,2] Dates also may prevent build up of plaque in arteries. Dates help diabetes. Although the sweetness of dates may make you think they aren’t good for people with diabetes, dates can actually be beneficial for diabetes care. 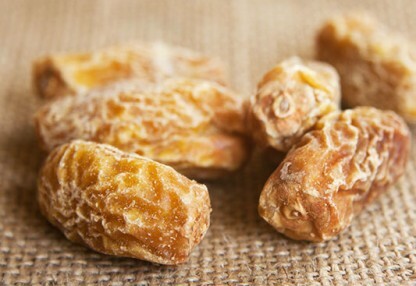 In fact, 100 g of dates for four weeks led to no increase in blood sugar levels in one study. They don’t have a very high glycemic index, are full of fiber, and are antioxidant-rich foods, all factors that help with diabetes treatment. Dates can help fight infection. As they have strong antibacterial and antifungal properties, dates can help the body to fight off infection to stay healthy. Dates help with labor and delivery. A 2011 study found that it isn’t just an old wives’ tale; dates actually are beneficial for women giving birth. The study compared results in women who ate six dates per day for the four weeks before delivery and those who didn’t. The first stage of labor was 38% shorter in women who ate dates. Date consumption also reduced the need for induction of labor, among other beneficial effects. Adding a few dates to your regular diet isn’t an unhealthy choice. If you were wondering, “are dates healthy?” the list above will help convince you that dates can be a good part of a healthy diet. Dates can be used as sweeteners in recipes (for things like energy balls, pie crusts, raw treats, and more). You might also try chopping dates and adding them to your oatmeal in the morning, blending them into smoothies, stuffing them with nutritious fillings like nuts, or adding them to trail mix. Do you eat dates? What is your favorite way to eat them? Please share your tips and favorite recipes in the comments section below. Crit Rev Food Sci Nutr. 2008 Nov;48(10):877-87. Crit Rev Food Sci Nutr. 2012;52(3):249-71. Br J Nutr. 2015 Oct;114(8):1226-36.
antifungal, antioxidant, antioxidants, are dates healthy, b vitamins, blood pressure, blood pressure levels, blood sugar, blood sugar levels, bowel movements, calcium, cancer, cancer cells, carotenoids, cholesterol, colon cancer, control blood pressure, dates, diabetes, diabetes care, diabetes treatment, diet, fiber, fight cancer, food, Glycemic index, health, health problems, healthy diet, heart disease, high glycemic, high glycemic index, infection, iron, magnesium, nutrients, nuts, people with diabetes, potassium, risk of colon cancer, selenium, stay healthy, sugar, sugar levels, triglyceride, triglyceride 2, triglyceride levels, vitamin, vitamin c, vitamin e, vitamins, vitamins minerals. Thank you for a good concise read.